When we talk about indie wrestling, a lot of times we look at the wrestlers and their work ethic, to drive down the greatness they possess. For some wrestlers, we look at their in ring prowess to define their greatness. For some, their athleticism is top notch, they have amazing stamina in the ring to put on classics, and they maintain consistent quality from town to town. There are many wrestlers who fit each description, but very few who fit them all together. Cedric Alexander is one of those very few. 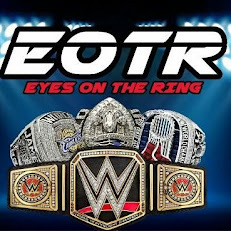 We've spoke about Cedric countless times on the EOTR Live show and he's been a guest before on the show multiple times, as well as been featured on this site. Cedric has been one of the best wrestlers in the world for the last few years, but unfortunately, he slipped under the radar to the majority of fans. He was known more so as a member of the Ring of Honor roster, as that was his most high profile gig so far up until this point. 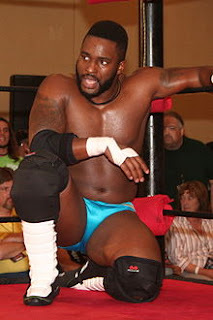 In Ring of Honor, he was placed with Caprice Coleman to form the C & C Wrestling Factory tag team, and they were highly entertaining. However, I'd be lying if I said that they were seen as true main event material at the time in ROH and that's just the reality. Cedric and Caprice worked great as a team and that's initially how Cedric came to my attention, but that would soon change upon my first trek to North Carolina. I first met Cedric in 2013, in the fall. He was the most over star in PWX Wrestling, and was in the midst of his amazing dream match series for the company. I had seen him on DVDs against Tommaso Ciampa, Jay Lethal, and other names on PWX DVD, but I hadn't had the opportunity to watch his work in person yet, aside from going to the ROH PPV Best In the World back that summer. So, it was a cold November night, as I watched Cedric go out there and entertain the crowd of about 700 in a main event match against Chris Hero. The match was seen as more of a WWE style match than your usual strong style or indie match, and it was at that moment that it clicked for me as a fan. Cedric had IT. He had the makings of a star, just going off of his in ring performance. Now, as the months went by, and the years changed, I sat and watched Cedric train, prepare for his matches, and put on classics with Jake Manning, Michael Elgin, Shane Strickland, Caleb Konley, AJ Styles, and many, many others. I think around this time is when Cedric became one of my favorite wrestlers today. I would go back to Maryland and tell people about his work and that they need to start to buying PWX DVDs (sure I was affiliated with the company during this period as well, but that honestly had nothing to do with me spreading the word). As a few people began to actually listen to me (more people in wrestling should anyways, but that's a whole different discussion for another day), Cedric kept putting on top notch performances. He's the MAN in Charlotte, or really North Carolina in general, as his matches, his ability, and his likable personality makes him appeal to the southern crowd easily without a doubt. I remember watching Cedric begin to get a small push in ROH, as he ended up defeating Moose, and a few other noteworthy feuds, including his feud with Roderick Strong, but for whatever reason, ROH just wouldn't pull the trigger on Cedric. I would think to myself that after seeing Steen put him over, Elgin sing his praises, and many others give this man a cosign, that ROH would recognize his abilities to be the guy, and push him to the moon. After losing Steen, Styles, and a number of other stars to the WWE and NXT, one would think it is a no brainer to make crowd favorites like ACH (another article for another day) and great performers like Cedric a shot at the ROH Title or even a ROH TV Title run. However, nothing like that really occurred. It was made public that Cedric was leaving from ROH and he wrestled his final match just a day or two ago, as of this writing. It seemed bittersweet, but knowing Cedric personally, he's he's a go getter. He's a hard worker, and he wants to be the greatest we've seen thus far, which is why him leaving ROH wasn't necessarily a shock to me (that and a few other reasons, but once again, that has to wait). If you knew what you possessed, and you knew your talents weren't being used properly after 5 years, wouldn't you want to venture out and gamble on yourself without being tied down to a contract? Wouldn't you want to see what else is out there for you? Of course you would. -Now, it's known that Cedric went in for a tryout with WWE. At the beginning of the year, before it was known to the public, I had the pleasure of actually being there to learn about Cedric's good news. My first words were to him "Don't forget us little people when you make it to the big time". He made a comment that he'd have to make the tryout first before even thinking that far ahead, but it was a foregone conclusion in my mind. Why wouldn't WWE want Cedric? Outside of the unfortunate racial issue in WWE, and perhaps Cedric and his comments on the New Day about a year ago that sparked some controversy, there would be no other reason for WWE to pass on Cedric. Or at least give him a chance to show what he can do. And that brings us to the WWE Global Cruiserweight Series. Will Cedric be a part of it? We've only heard a handful of names so far, but I'd put my money and seeing Cedric get into the series and show his worth to the world. Interestingly enough, Cedric is coincidentally booked at EVOLVE in June, which could be our chance and opportunity to see him try and qualify for the Cruiserweight Series. However, Cedric deserves even more than just this. Which, leads me to my next point. -The Cruiserweight Series seems like a test run for most of the stars in it. So, if Cedric were to make it into the series, my next thought would be "what's stopping the WWE from putting him in NXT", because they definitely could use his talent. Imagine an episode of NXT headlined by Cedric and Finn Balor. Or Cedric vs Aries. Or Cedric and Samoa Joe (their PWX match was great). Or the ultimate dream match to watch on NXT, Nakamura vs Cedric. Or, if WWE wanted to really gamble, why not bring Cedric in as a heel, have him win the NXT Title and bump him up to the main roster, say after Mania 33? Allow him to showcase his improving promo skills, his high level intensity in the ring, and captivate millions. Now, this isn't a guarantee of course that the WWE will sign him, but if they don't, it is their loss. 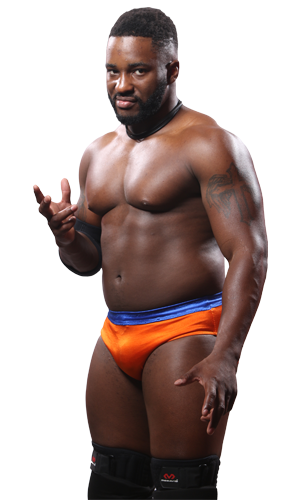 -Well, as we saw TNA made a big deal out of signing Caleb Konley, former tag team partner and nemesis to Cedric in the Carolinas, so why not put Cedric in TNA and allow him to shine? He could become X-Division Champion, but he should really be in the running for a TNA title Shot if he does make it there. There's some advantages to Cedric working TNA, as he would still be able to take indie bookings and only work a select few tapings for the company. That could truly be where he ends up, though having to deal with Dixie or the Nazis Harris Brothers could be a bit too much. Time will tell. -When you're one of the hottest free agents in the game and you're athletic in the manner that Cedric is, this is always a top choice for anyone. 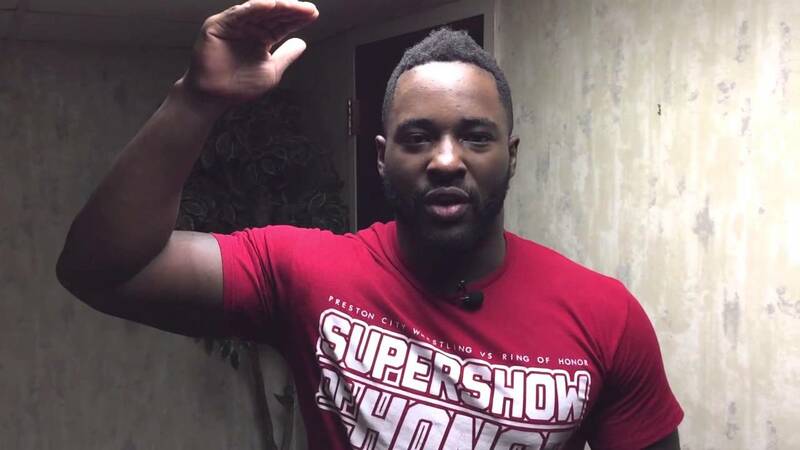 Cedric would fit in well there, much like Ricochet and Shane Strickland have, and I think the appreciation for wrestling in the West Coast has grown even more over the years. Cedric could shine, even if under a mask in LU. -NJPW just lost Nakamura, Styles, Gallows, and Anderson. You know they need another big star and if I am them, I'm looking at Cedric as the next big thing for NJPW. His working relationship got him a bit of interaction with New Japan stars, but if he goes to NJPW as a regular talent, Cedric could soon be making headlines faster than you can say Ribera Steakhouse (predictable, yes I know). -His work ethic is top notch, so it's entirely possible to see Cedric stay indie and go after more bookings all over, of course PWX and the Carolinas, but also perhaps PWG, AAW, AIW, and more places that he's either been familiar with or appeared at. He could become a big time player and get booked against legends like Kurt Angle if his indie plan comes to fruition. The possibilities are endless for Cedric. Whatever he decides, just know that the world will begin to finally realize why his new moniker is the often used "Best In the World". It is not a gimmick. It is not an image. It's not even catchy. It's just the damn truth. 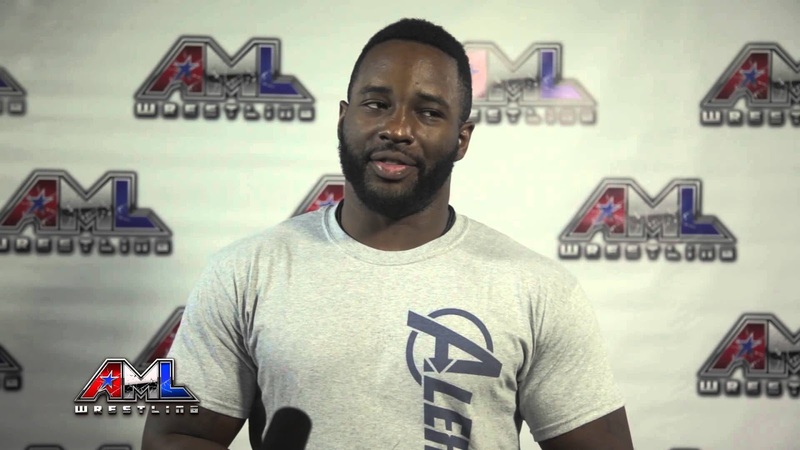 Can someone seriously book Cedric Alexander vs Kurt Angle before 2016 ends? Like ASAP? Thanks in advance.